Looking NE at N end of cottage. 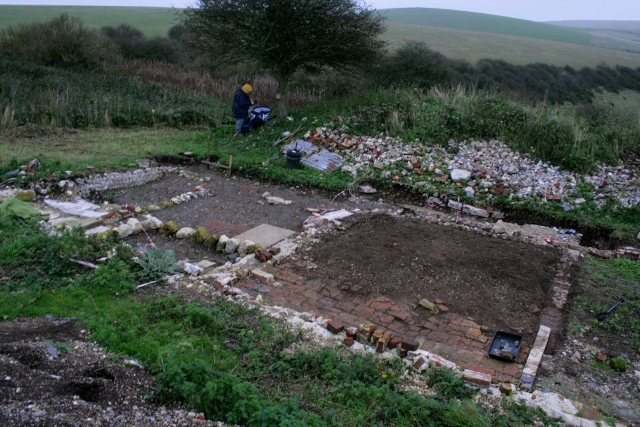 A very blustery day was spent stripping back the topsoil from within the Newmarket Farm Cottage’s 19th century washhouse. Looking N at surviving floor of N end of cottage. As expected there very few finds; the strangest of which was a hard black plastic screw fitting ‘something’ – a cross between a table lamp light fitting and a fancy hose pipe connector. 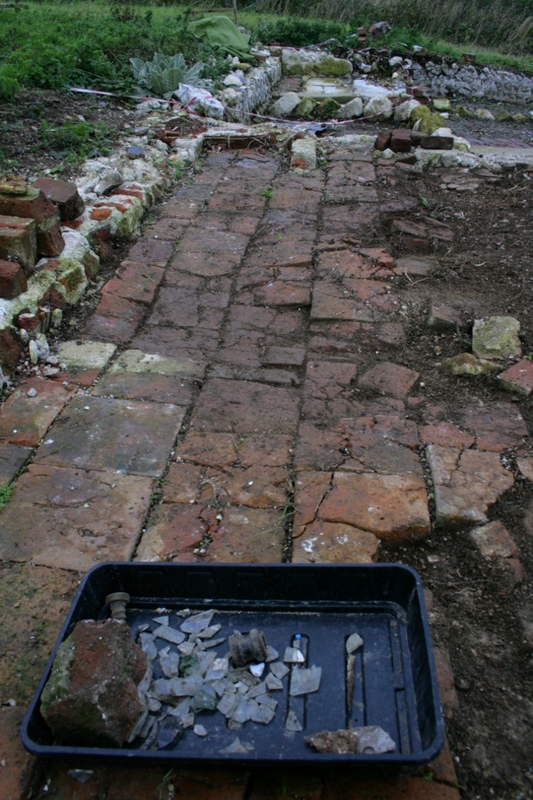 The surviving terracotta floor tiles were all nicely cleaned back, as were all the external and internal flint and brick wall lines. The front room of the cottage now looks as good as we can manage with the resources we have available! Looking N at W side of garden gateway. 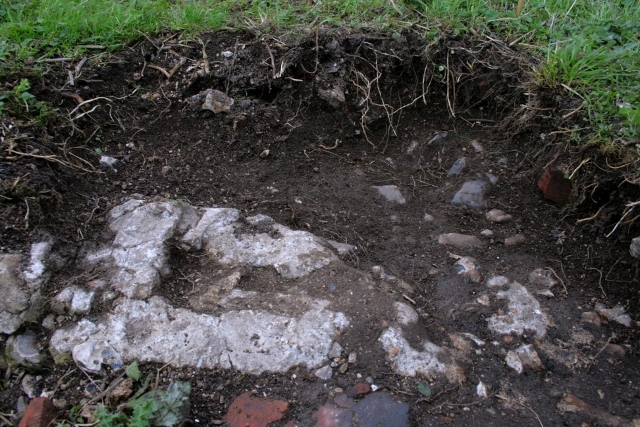 A little more of the front garden gateway was also worked on, and a few more flints with worn surfaces were uncovered at the base of the overlying demolition rubble. The very few finds included the usual range glass, ceramics and rusty nails, as well as fragments of cast iron ‘ogee gutter’. Interestingly, this was the first dig day without any obviously military finds.